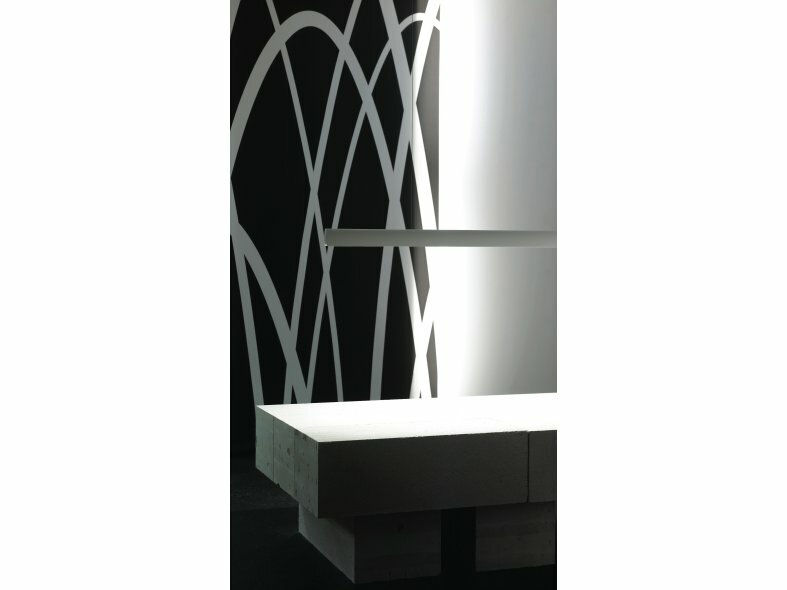 Gaudi is based on a sculptural arch that defines both the room and the direction of the light. 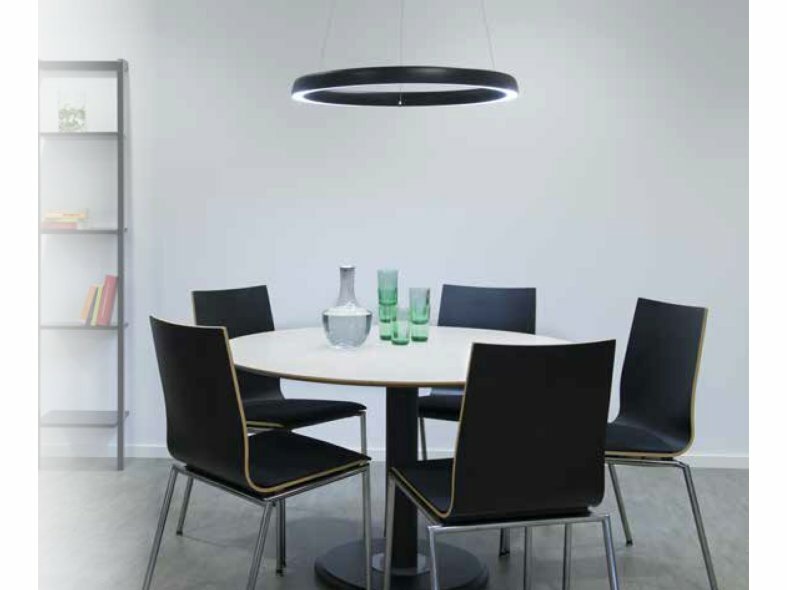 The robust body of extruded aluminium takes a different visual guise depending on the selected colour; black or white. 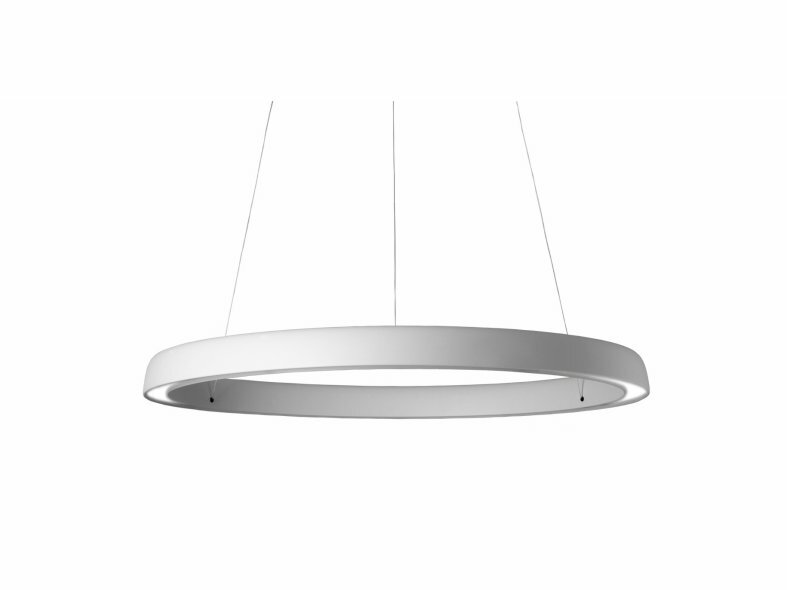 The luminaire is available in two models: Gaudi Linear and Gaudi Circular. 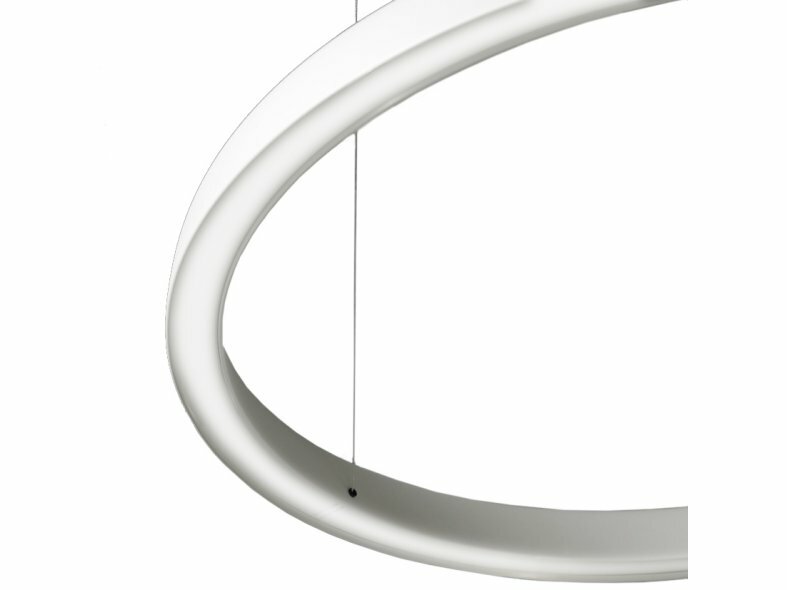 Gaudi Circular is fitted with LEDs and powered via the suspension wires from the driver at the ceiling cup. Gaudi has tailored optics for the latest generation of LEDs that distribute a balanced effective light with an appealing colour temperature. 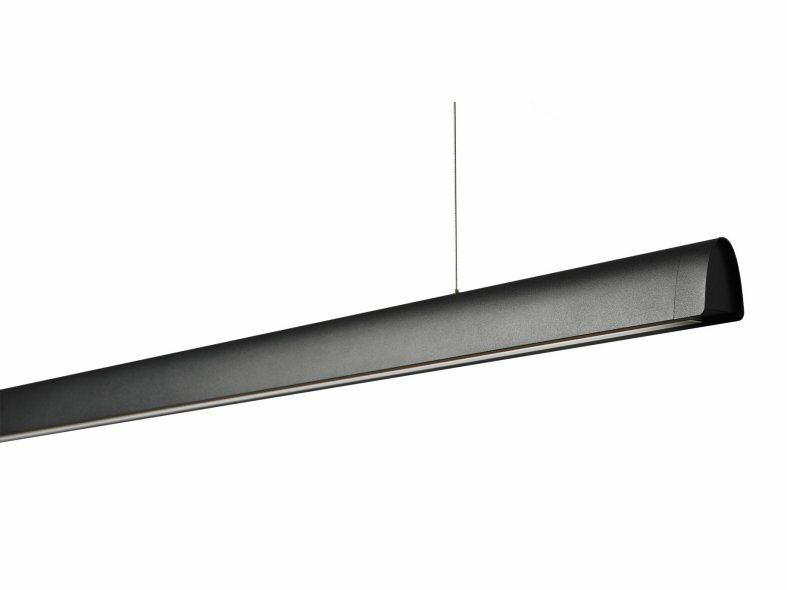 The new generation of Gaudi Linear has a brilliant opal reflector with a high luminous flux. 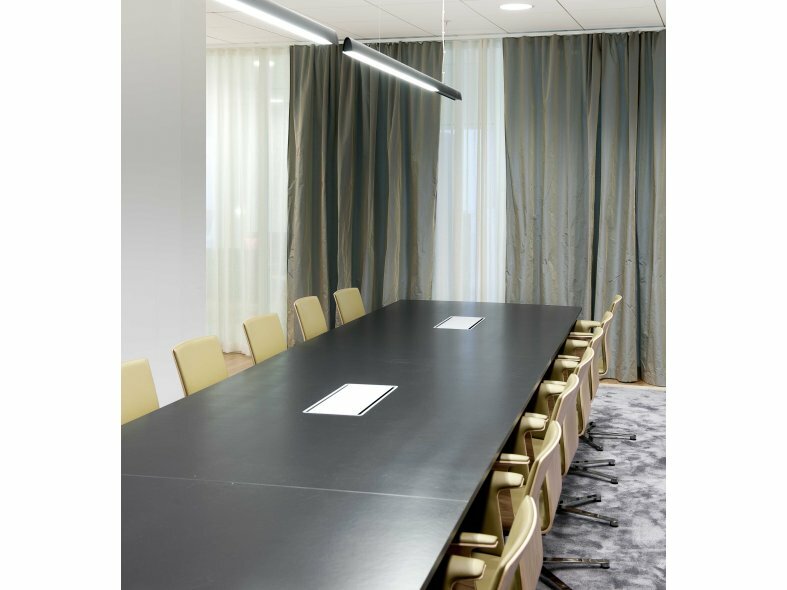 The discreet suspension wire and transparent cable creates the impression of an invisible connection to the ceiling.